I must have spent hundreds of hours pouring over every detail of his book. My copy is still in my bookshelf and is held together with sticky tape. It's no exaggeration for me to say that Dennis Ritchie's influence on computer science has been a very strong guide in my life and my professional career, and I truly mourn his recent passing. 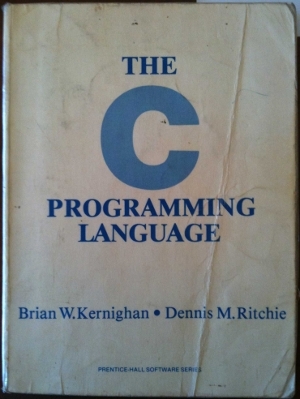 The second computer language I learned was "C" - DMR was the father of "C". And I can see these same influences in my like-minded colleagues throughout the computer industry. We all love our new Apple products, but did you know that Mac OS X and even iOS for the iPhone and iPad owe a large debt to UNIX and "C", and, therefore, Mr. Ritchie? The concept of segmenting an operating system into an inner kernel with strong independent outer systems and an API is obvious to those of us who know anything about real operating systems. But, nobody knew this until Mr. Ritchie, and his colleagues, came up with the idea and showed us how well it would work! Before Dennis Ritchie, operating systems were written in Assembly language. These were almost impossible to read and maintain, and certainly not portable to other hardware. Since the 1970's, no sensible computer scientist would consider this a viable option. To understand more about the influence of this great man, I recommend this wikipedia article. Thank you, Mr. Dennis Ritchie - the world has lost a truly great man.